Have fun with Caterpillars, Ladybugs, Turtles, Strawberries, and Fish. 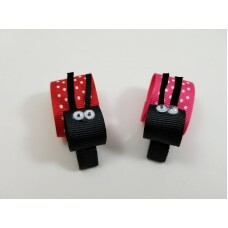 These adorable creations are hand made from grosgrain ribbon and are embellished with googly eyes and Swarovski crystals. 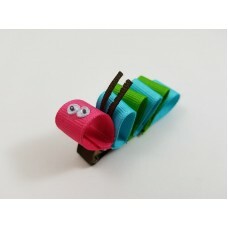 These creations are 2" to 3" in length and are attached to clippies. Additional colors may be available upon request. Just write in the comment section of the order. The Caterpillars are about 2 ½” in length. 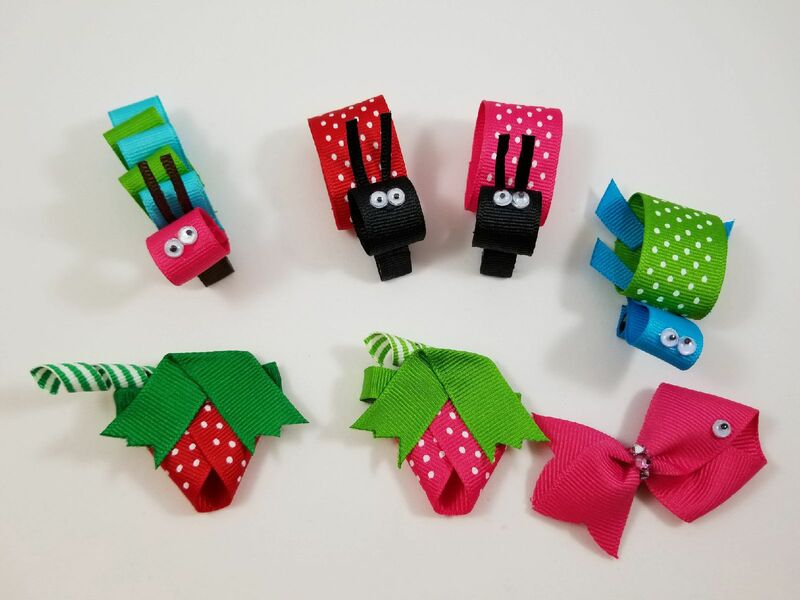 They are made from grosgrain ribbon in shocking pink, N.. The Ladybugs are about 2” in length. 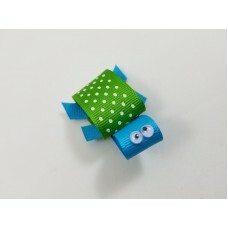 They are made from pin dot grosgrain ribbon with black ribbon f..
Everyone loves Turtles! 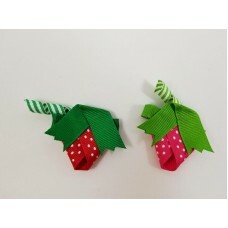 These sweet Turtles are about 2½” in length and are made from Apple Green Pi..
Strawberries are classic little bows. These cute strawberries are about 2” in length and are created.. 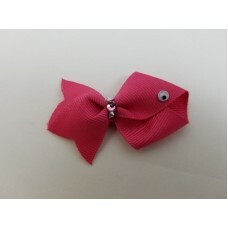 There are so many fish in the sea and these fish are adorable as hair clippies. They have one goog..